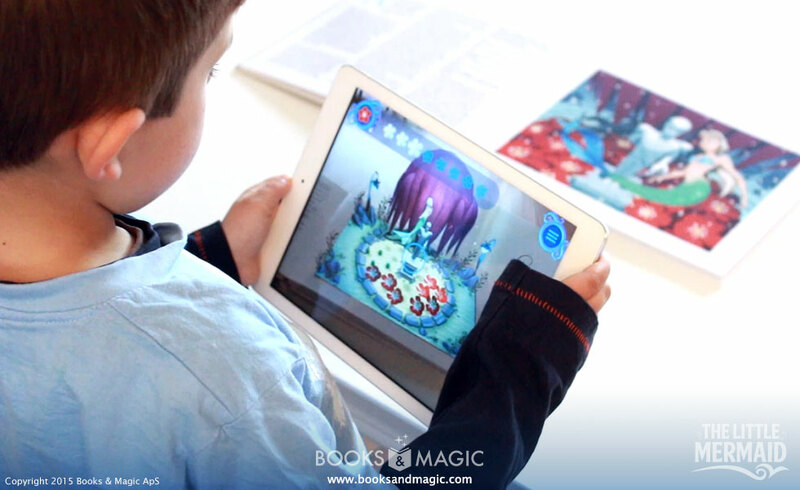 Discover the magical fairy tale universe of The Little Mermaid through Augmented Reality games that bring the story to life - directly on top of the pages of the book. 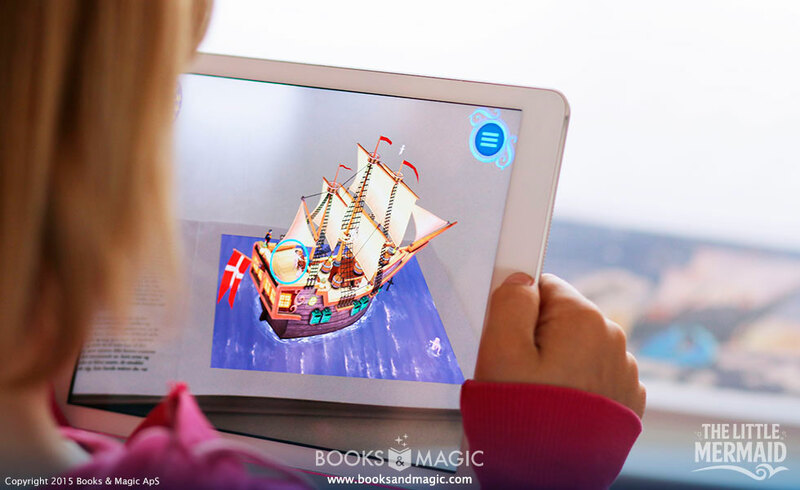 Looking at the physical book through the app, children can travel through the story and explore the fairy tale from any angle discovering an inspiring world full of life. 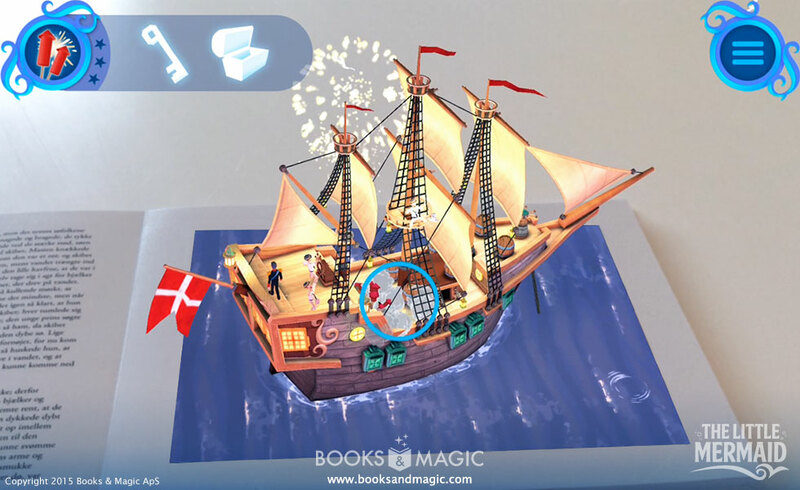 In this way, Augmented Reality facilitates interaction between pages and pixels in funny and challenging 3-level mobile games that let’s you play and interact in rich and detailed environments. 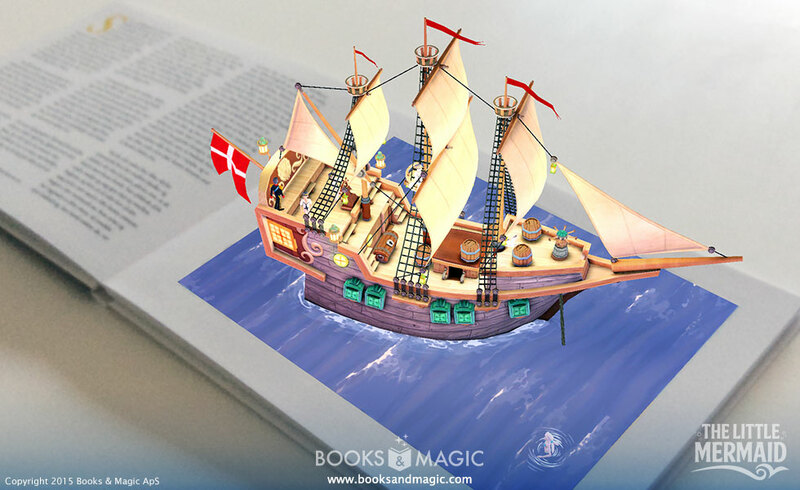 And while the storybook stays the same, the digital universe continues to evolve through new updates to the app. 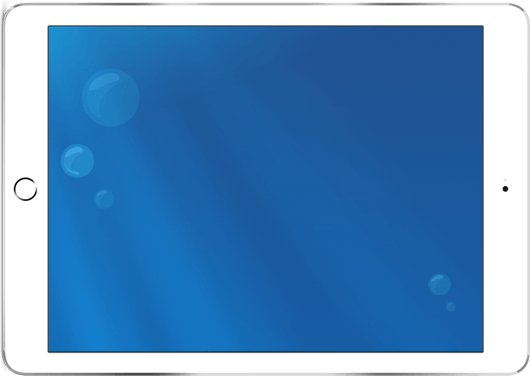 App available on iOS & Android. 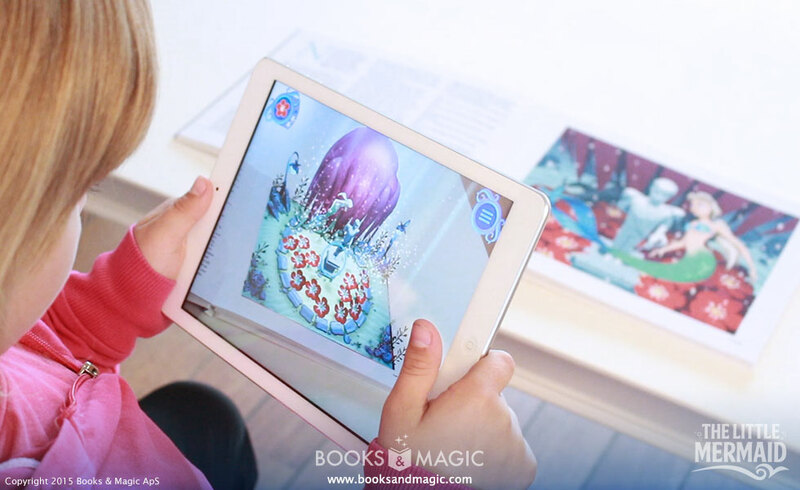 This magic edition of the classic fairy tale combines the physical book with a digital app to deliver an experience your kids will love. 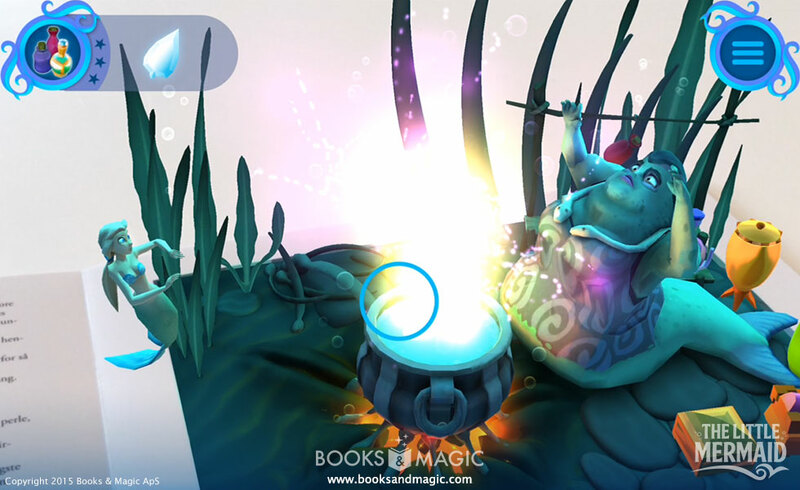 Discover the magical universe of the original fairy tale through the app that brings the story to life in movement and games, directly on top of the pages of the book. 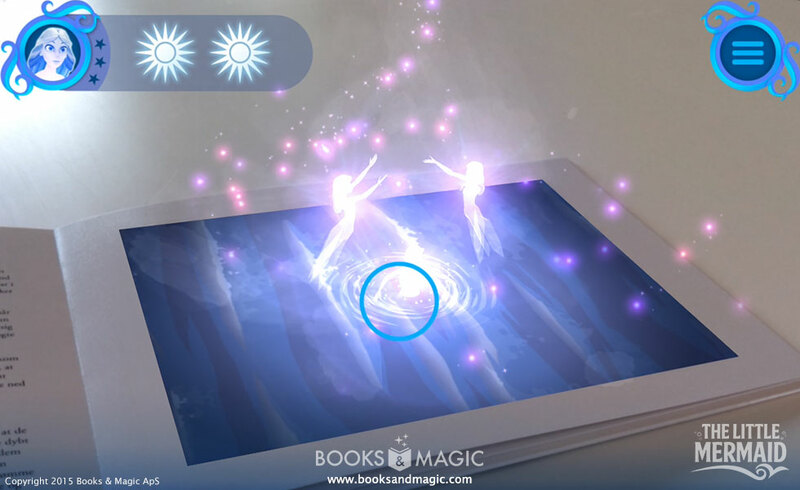 Instead of turning on the TV, give your children this magic edition – and ignite their imagination. 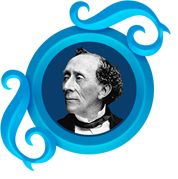 Read and experience Hans Christian Andersen’s original fairy tale about the little mermaid who swaps her fishtail for human legs to follow her heart. 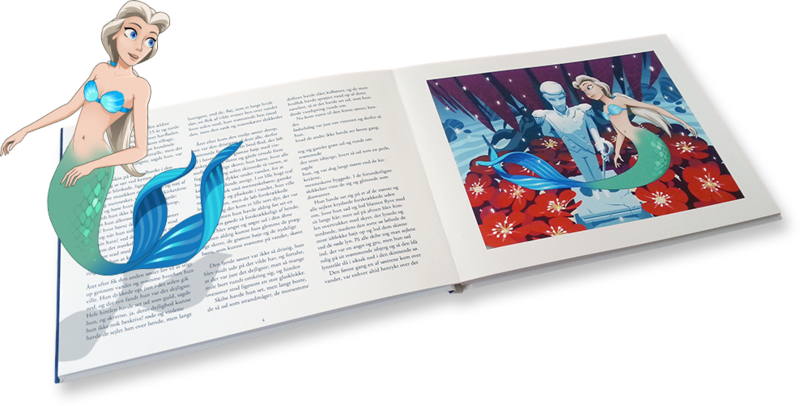 A high quality book with beautiful colour illustrations, The Little Mermaid is printed on thick cardboard paper, solid enough to last for many hours of fun with reading and playing games related to the story. 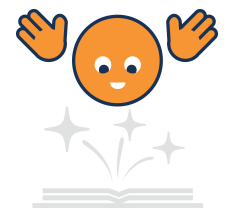 Engaging with the literary universe inspires children to read because they can interact with the magical world of the fairy tale: read, play and learn! 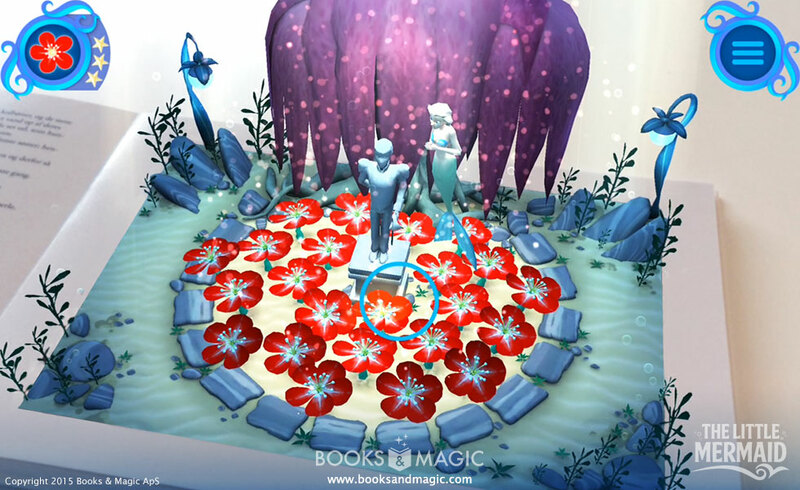 Books & Magics ‘The Little Mermaid’ is an innovative and convincing constellation of medias that challenge our way of reading and understanding litterature. 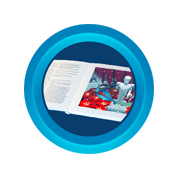 At the same time it offers a real and obvious opportunity for children and adults to gather around litterature in both the reading out- and game situation. Here none of them excludes the other. 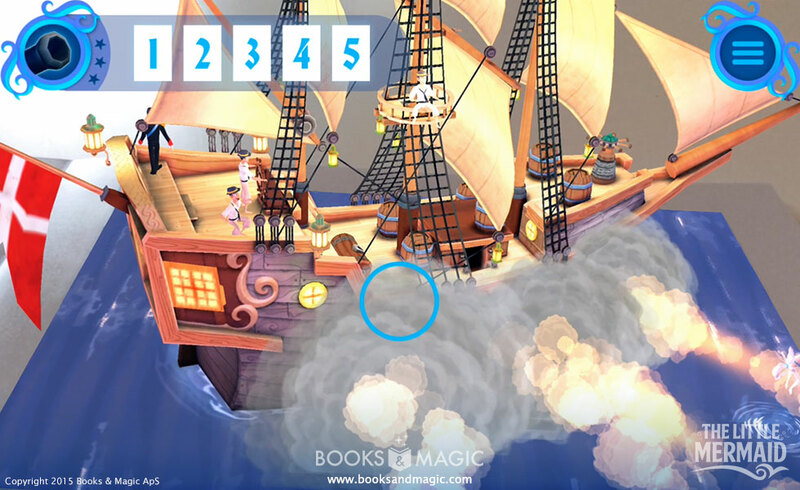 This App is helping kids to love reading as a noble cause and is deeply innovative in combining game mechanics with a linear story telling in a book. 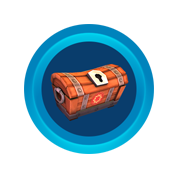 It is the most incredible thing I have come across yet! 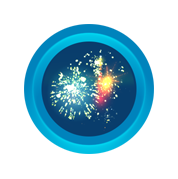 5-star rating for concept, functionality, features & value. 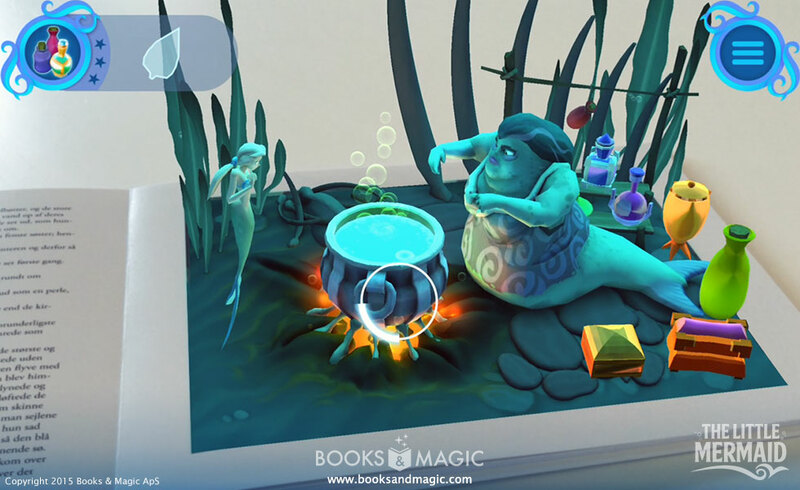 ‘The Little Mermaid’ is an incredibly fun augmented reality book [that] includes tons of great features that make it an amazing app for youngsters. 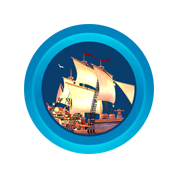 Not only does it allow 3-D exploration, but there are plenty of fun mini games that follow along with the classic storyline. I love that most of the old phrases from the original fairy tale have been kept in the text. That means that my son asks a lot of questions and that we sometimes need to take time out to sit and talk about the words and their meaning. But that’s a win-win in terms of his improved vocabulary – plus were having a great time together, too. I love it! 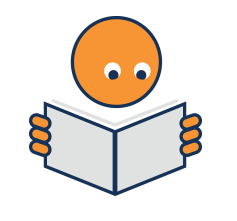 Both of my girls just love the book, and we’ve been reading aloud many times – also as a bedtime story, even though the girls can’t seem to get enough once we’ve started. 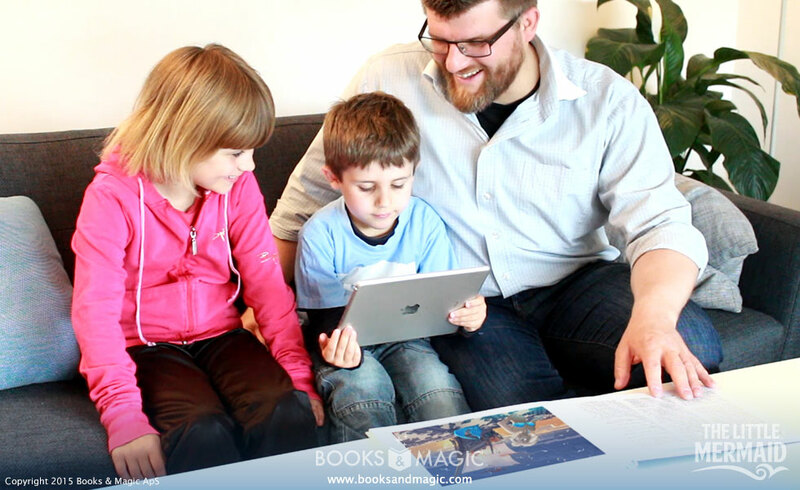 This is perfect for kids… and curious adults! 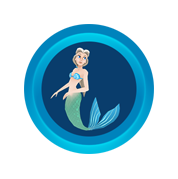 The Little Mermaid is a unique take on the Hans Christian Andersen classic that engrosses and entertains as it tells its wondrous tale. What makes this app so special is the magic that appears within the illustrations. 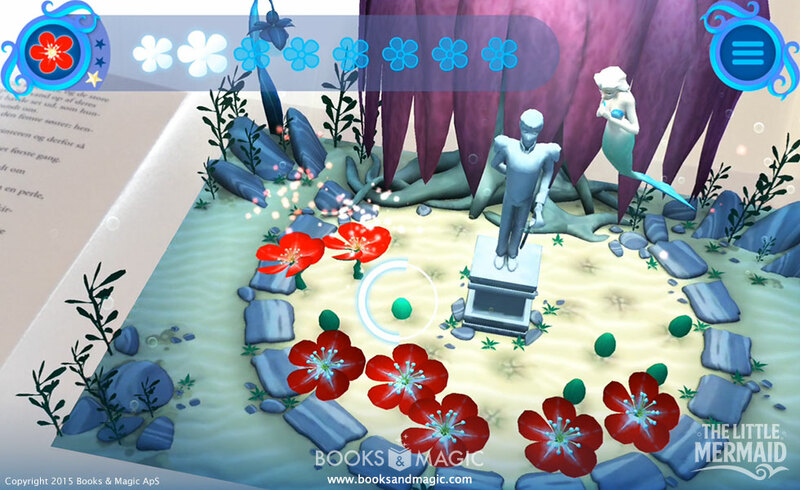 Not only do the characters and scenery seem to pop out of the book, but the items within are interactive. It is all quite a lot of fun and it all looks really great.  It can be quite a struggle to remove children from their tablets, they know very intuitively how they work. 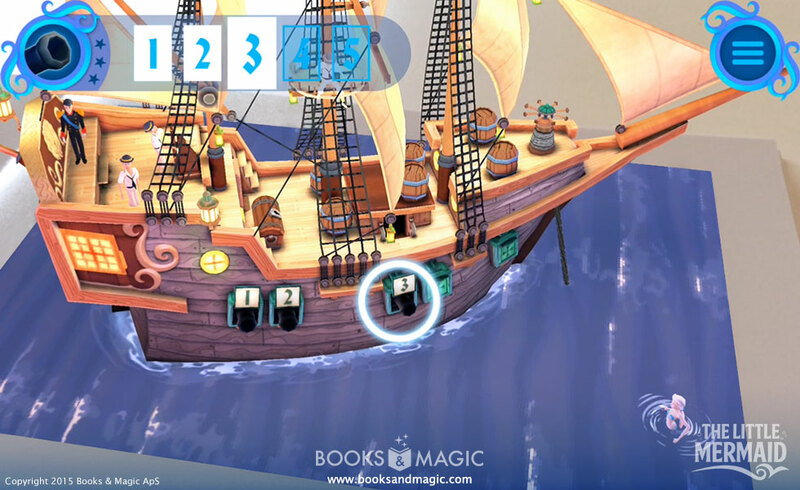 So I think it’s really great finally to have a tool that makes good use of the ways in which children use iPads – and with this old Hans Christian Andersen classic as its enlightening foundation, it’s even better!